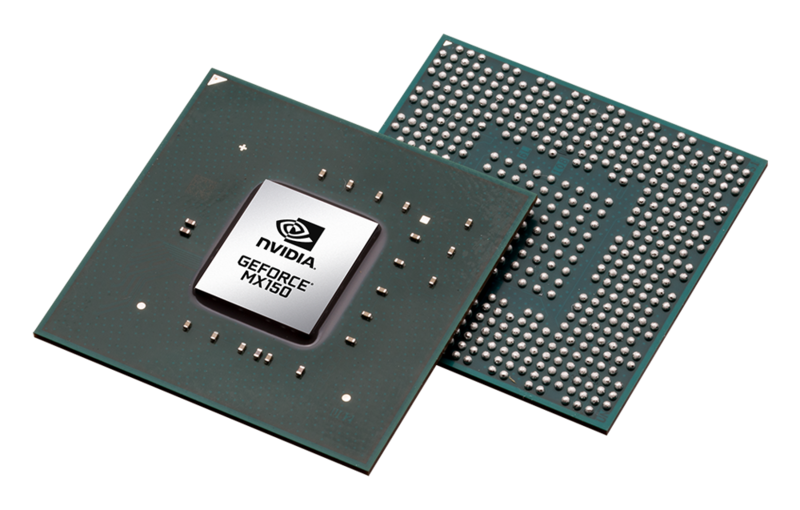 Last year, NVIDIA introduced their new GeForce MX series GPUs which were designed to integrate inside ultra efficient mobility devices such as Ultrabooks. 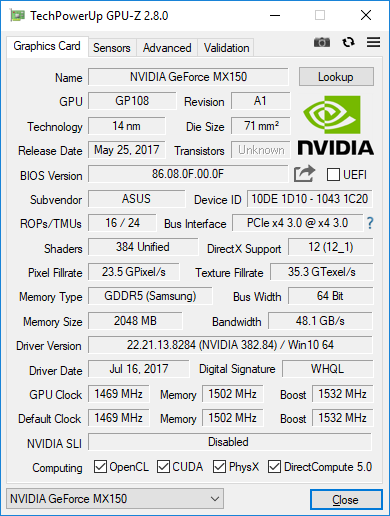 According to Notebookcheck, one of the GPUs which is known as GeForce MX150 has recently received a second variant which goes by the same name but features lower performance than the original design. The original GeForce MX150 graphics card wasn’t a powerhouse in itself, it’s about as powerful as a GT 1030 graphics card which is considered an entry level (sub $100 US) graphics card. The GPU has 384 CUDA cores, support for GDDR5 memory and a TDP of 25W. The GPU clocks in at 1468 MHz in base and 1531 MHz in boost frequencies and is built on the 14nm LPP process by Samsung. Now we have seen cases such as the GeForce GTX 1060 and RX 560 which have several variants, but they are not advertised properly. For instance, the GeForce GTX 1060 has a 6 GB, 5 GB and even a 3 GB model. All variants differ in specifications but NVIDIA does prompt their partners to tag the VRAM quantity so users can check out the specifications based on that. It’s not an ideal approach however, in the case of the RX 560, AMD partners were selling a lower spec’d model under the same name and it took some bad press to tag the slower models accordingly. 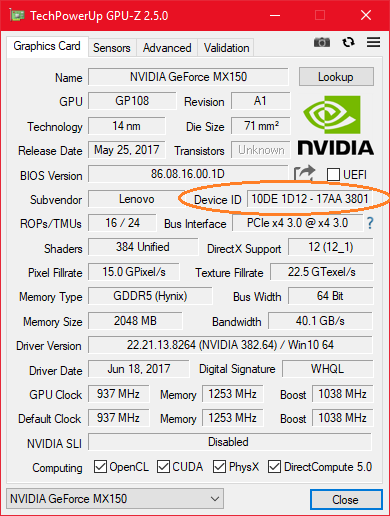 The only way to know exactly which GeForce MX150 GPU the laptop ships with is to access GPU-z where the Device IDs for both variants are different. But the proper way is to label them as either 10W or 25W GeForce MX150 on either the packages or the support site itself. Buying the incorrect model would basically get you 20-25% performance deficit in a chip which is already not that great in terms of raw GPU performance. 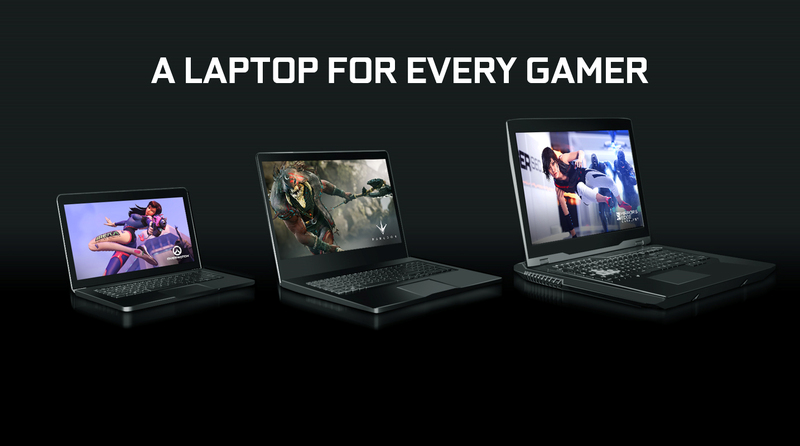 We will want to know what OEMs and NVIDIA themselves have to say regarding this matter.